Plastic is made to last forever: it does not biodegrade, but breaks up into smaller pieces. These small pieces find themselves in the far corners of the world, polluting our oceans and making their way into our bodies. In our oceans alone, plastic debris outweighs zooplankton by a ratio of 36-to-1. By the year 2050, the oceans will contain more plastic than fish by weight. The National Oceanographic and Atmospheric Administration said that plastic debris kills an estimated 100,000 marine mammals annually, millions of birds and fishes. Over 300 million pounds of plastics are produced each year. According to the EPA, only 9% of plastics in the US are recycled each year. Over 260 species, including invertebrates, turtles, fish, seabirds and mammals, have been reported to ingest or become entangled in plastic debris, resulting in impaired movement and feeding, reduced reproductive output, lacerations, ulcers, and death. 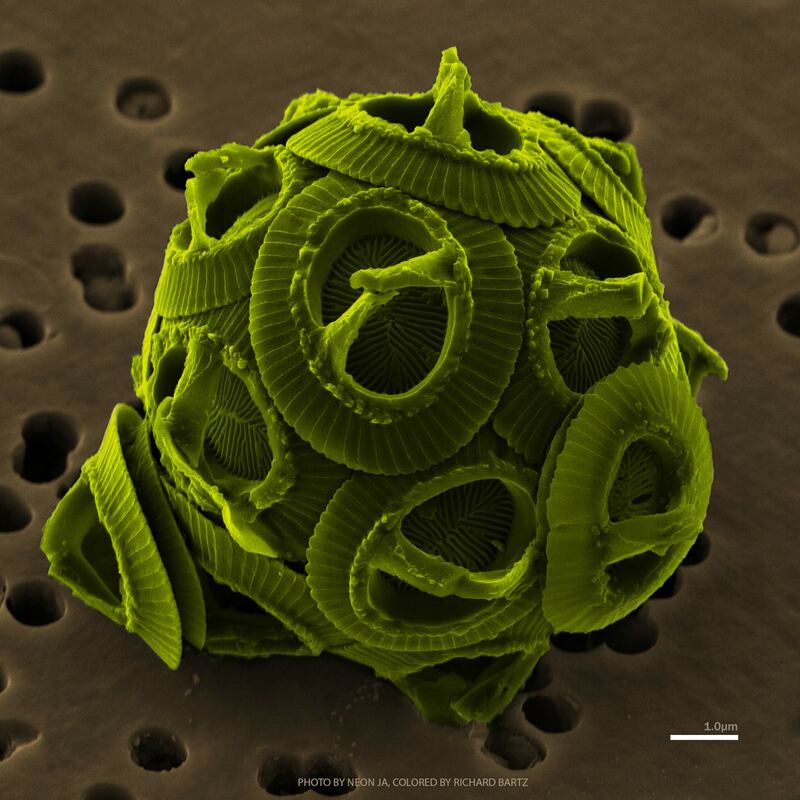 Even plankton are eating microplastics and absorbing their hazardous chemicals. These plastics are passed on through the food chain, eventually making it onto our plates. Plastics are not biodegradable; they merely break down into smaller parts. Even when broken down to the molecular level, they still remain plastic. The natural process of breaking down products relies on enzymes and microorganisms. These organisms, however, don’t recognize plastic as a food source, so the decomposition process never takes place. Not even all bioplastics are biodegradable, hence the effort into developing one that is. A bioplastic developed in recent years from seaweed has proven to be one of the most environmentally friendly bioplastics. This is very promising news. Since billions of pounds of plastics end up in our water systems, and marine plants and algaes are readily available and fast growing, researching them could yield a very effective solution. While eliminating single use plastic entirely would be the best solution, it’s currently not a viable one. As with most cases, a multi-pronged attack is the best one: reduce our reliance on single use plastics and change to bioplastics for when use is unavoidable. How can MRC help with your research?